Outward Bound offers exhilarating personal development courses that take people into new territories, giving them the opportunity to test themselves, inspire each other and come back with a new outlook on life and the world. 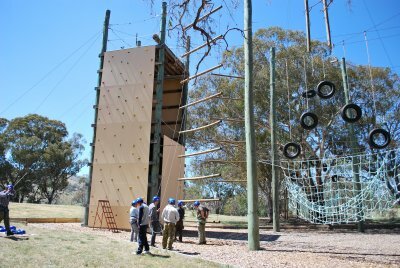 Outward Bound's National Base is located in Tharwa, which is on the edge of Namadgi National Park, just south of Canberra. 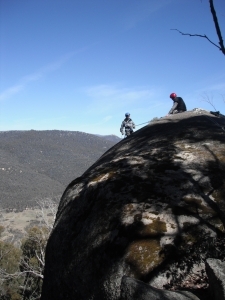 As part of the Australian Alps, the exhilarating Brindabella and Tidbinbilla Ranges, with their variety of wildlife, clear mountain rivers, expansive forests and spectacular rock climbing sites, have proven an ideal location for our courses. This area includes large expanses of panoramic tracked and untracked wilderness and offers a fantastic range of activities including the Challenge Ropes Course; a massive freestanding ropes activity involving more than 30 elements that are up to 15 metres off the ground and is the largest of its kind in the Southern hemisphere. Courses are available for young people aged 15 - 18 years, adults seeking serious adventure, teenagers (13-16 years) accompanied by a parent or caregiver, and emerging community and business leaders.